It’s always wrong to permanently alter somebody else’s property. To temporarily alter though, that’s totally fine. 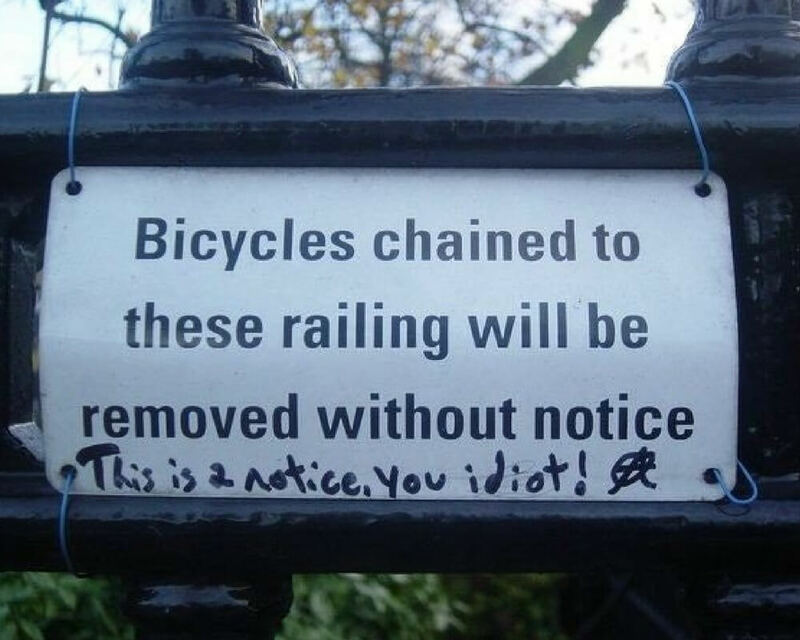 It’s even better when your temporary graffiti is sarcastic or clever. 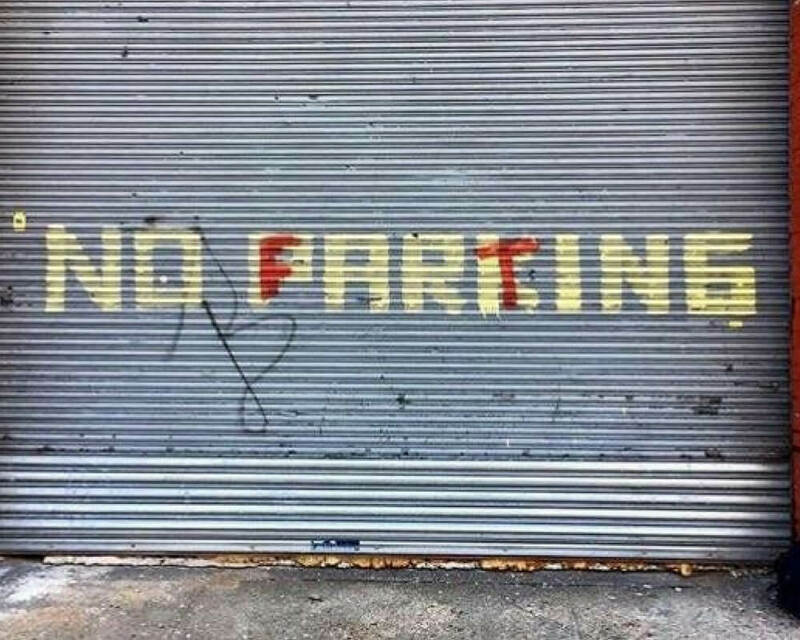 These amateur street artists have mastered the craft of mild defacement. Let’s hold our pencils and washable markers high in celebration of these clever creators. Read on to see a washroom sign made one hundred times better, a skateboarding statue, and (not just) another brick in the wall. This street artist is correct. That sign is, in fact, notice. Nice of them to provide notice even though they said they wouldn’t, though. Notice is always nice. I don’t like surprises, and having your bike removed is not a very nice surprise. I’m glad that Gru is finally getting his time in the meme spotlight. Those minions had it for far too long. Gru is way better than the minions. 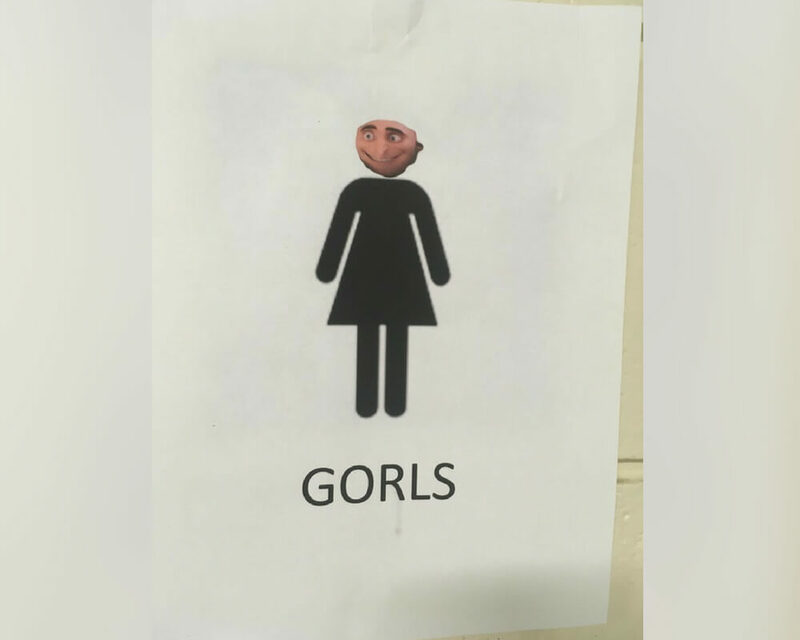 He can say actual words, and one of those words is “gorl,” which is excellent. This is actually brilliant. Now the song is stuck in my head though, which is not very cool. 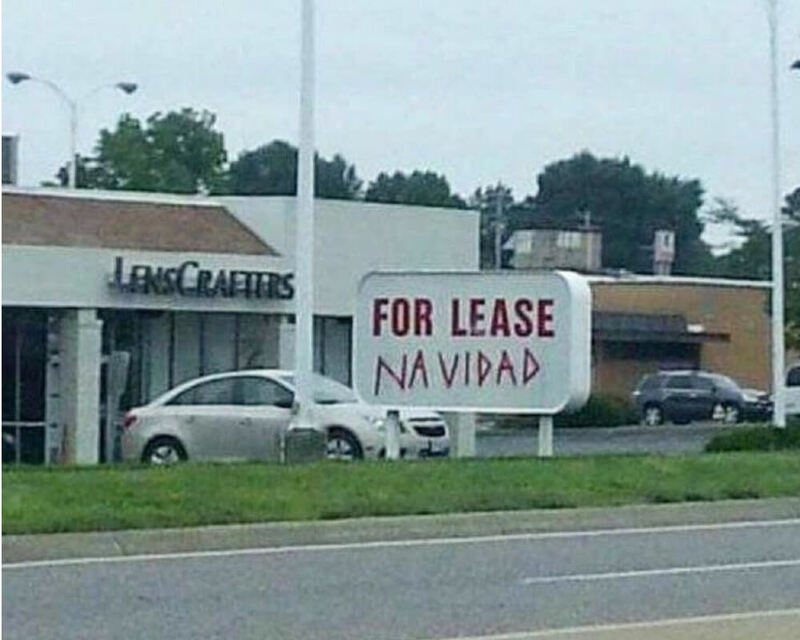 ‘Tis the season for mild vandalism. I know this isn’t as mild as it could be, but it is pretty delightful. 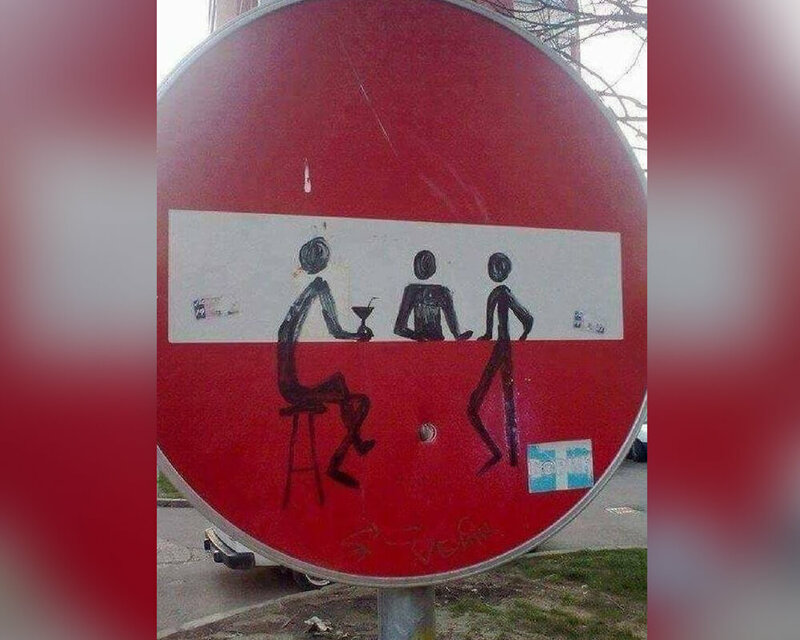 Keep reading for a street sign that got a classy makeover. This pipe cover (I think that’s what this is?) 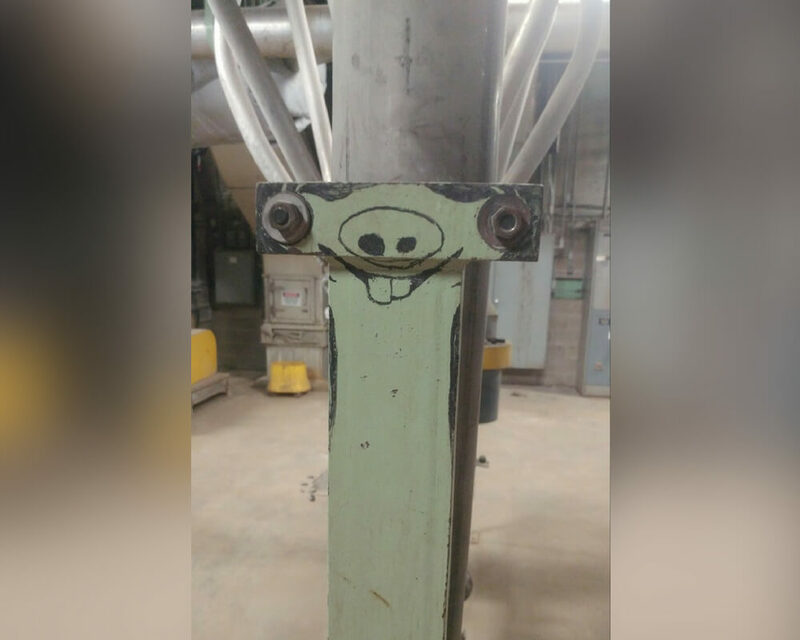 looks like he’s worried about something. Maybe he’s worried because he’s the only sighted and sentient piece of metal on that strip. 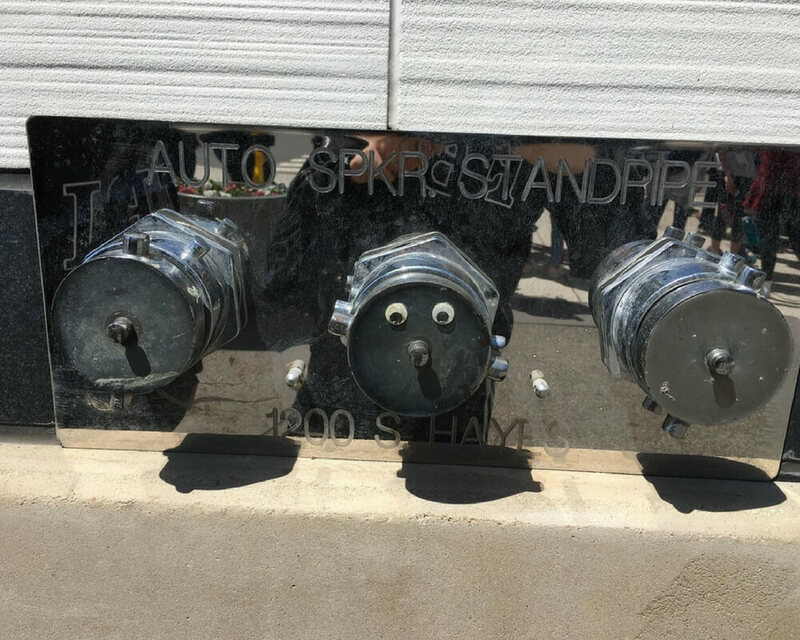 I think we’ve all learned something here today: googly eyes make everything better. The combination of bad spelling and good intentions makes this the most wholesome vandalism of all. Keep up the good work, helpful samaritan. We could use a few more people like you. This is a very well-drawn bar scene. It looks like someplace where everybody would know your name. All street signs should be this pretty and interesting. Thank you, talented street artist for brightening our day and our commute. Read ahead for a printer that got a serious upgrade. Actually, I can think of a few children who would be offended at the mention of school. 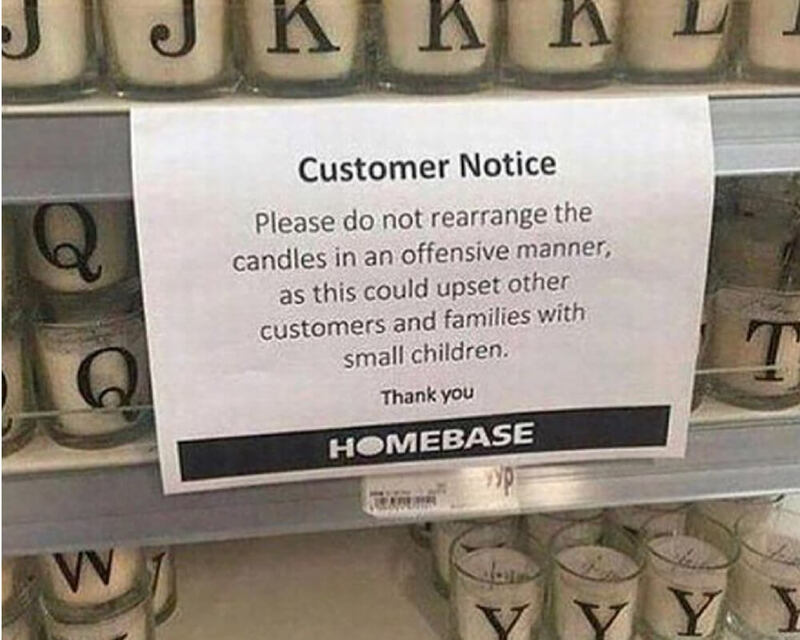 They’re already stuck in Homebase with their parents. They don’t need any more misery. Printers can be downright frustrating. 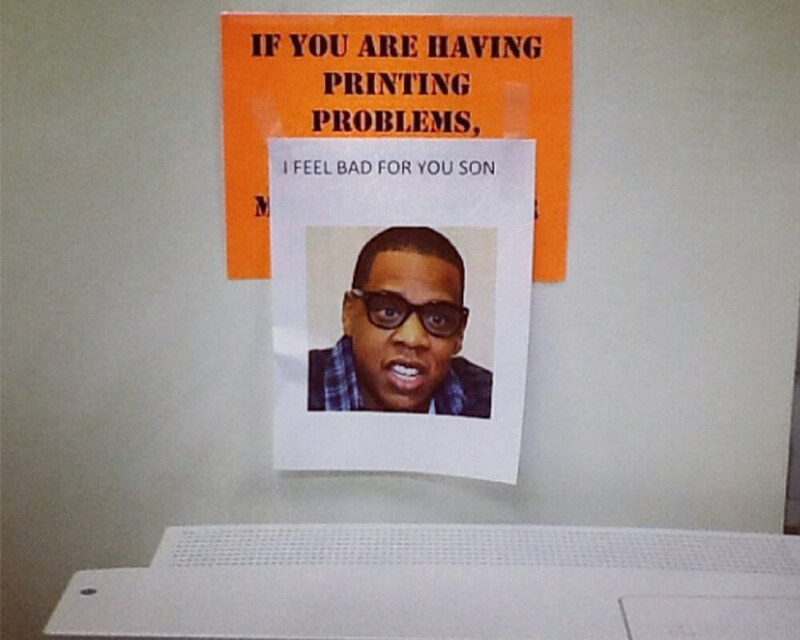 A photo of Jay-Z can go a long way when it comes to making us feel better about a paper jam. A little office humor never hurt anybody. Keep reading for a mild vandal who took a bathroom sign a little too literally. That would be one hell of a drop. 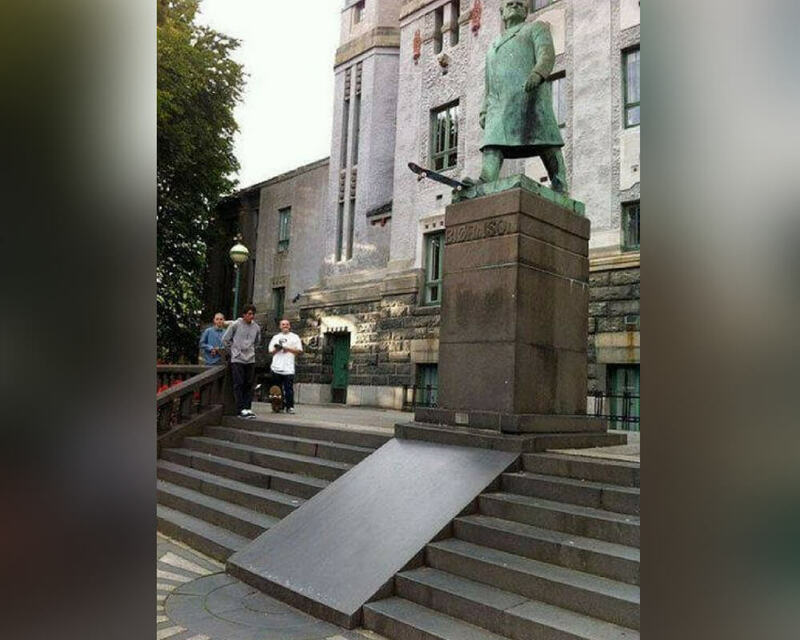 I’m not sure who that’s supposed to be a statue of, but it’s probably somebody very important who never set foot on a skateboard. I think this is pretty clever and that this mild vandalism is a nice change from the terror that the pigeons inflict on this poor dude. To be fair, his name is asking for it. 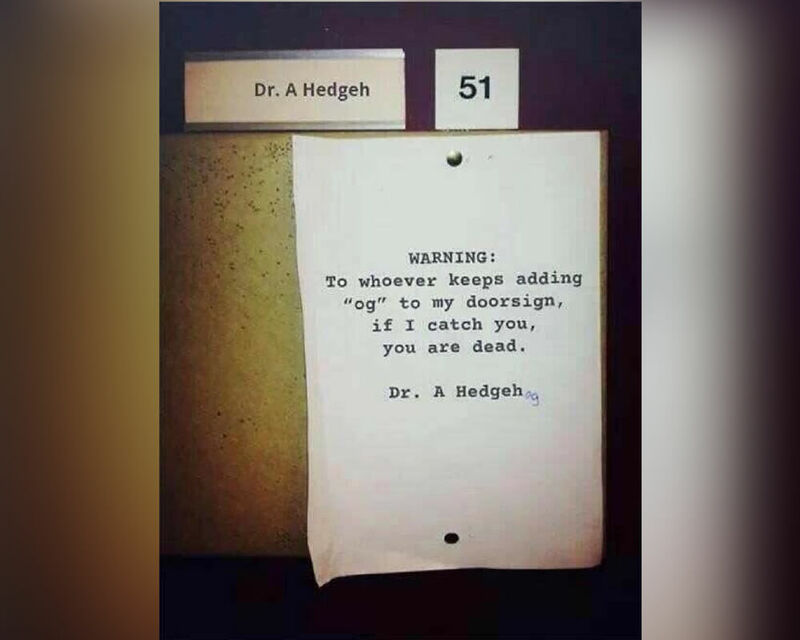 You can’t have a name so very close to “hedgehog” and not expect people to add those extra letters every chance they get. That paper sign is a nice compromise. Now we can add “og” to his name and not ruin his nameplate. 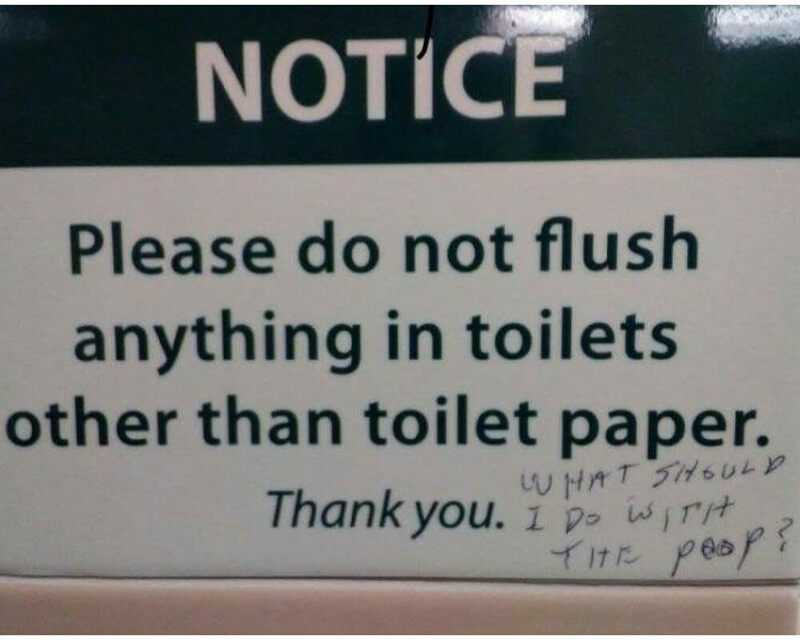 Ok, I know this guy is joking, but seriously, flush the poop. Do not remove it from the toilet do not pass go, do not collect $200. Yes, this sign is poorly worded. No, that is not an excuse to handle actual poop. Read on for someone who made a clever addition to a city bus. This is the most beautiful piece of metal I have ever seen. This person saw an opportunity, and by golly, he took it. Our favorite lispy prehistoric sloth is on full display for everyone to see. More graffiti like this, please. More Sid, always more Sid. Good grief, this is delightful. It’s amazing what you can do with a pencil and a brick wall. See, vandals, you don’t need spray paint or big decals. Sometimes the smallest details make the biggest impact. Isn’t so cool how a few black dots and lines become an instantly recognizable cartoon dog? 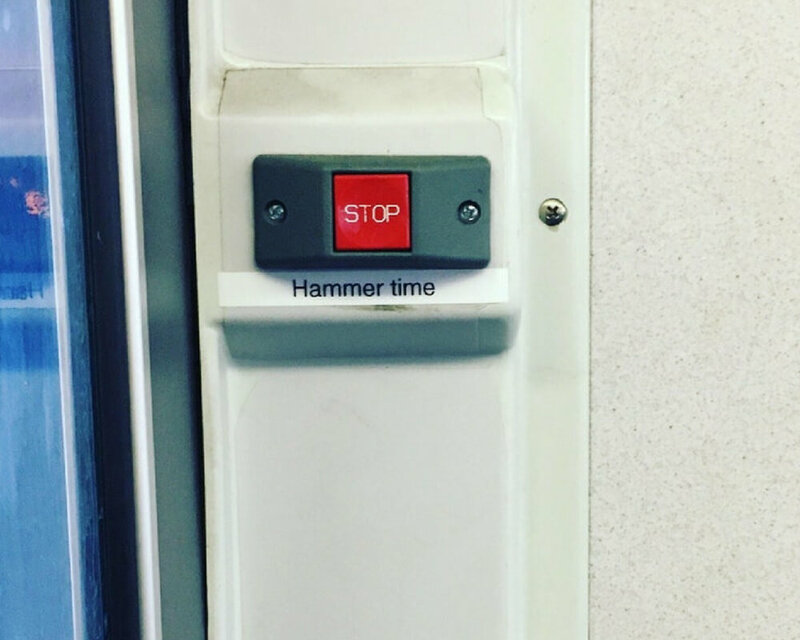 Someone spotted this clever label on a bus in Amsterdam. 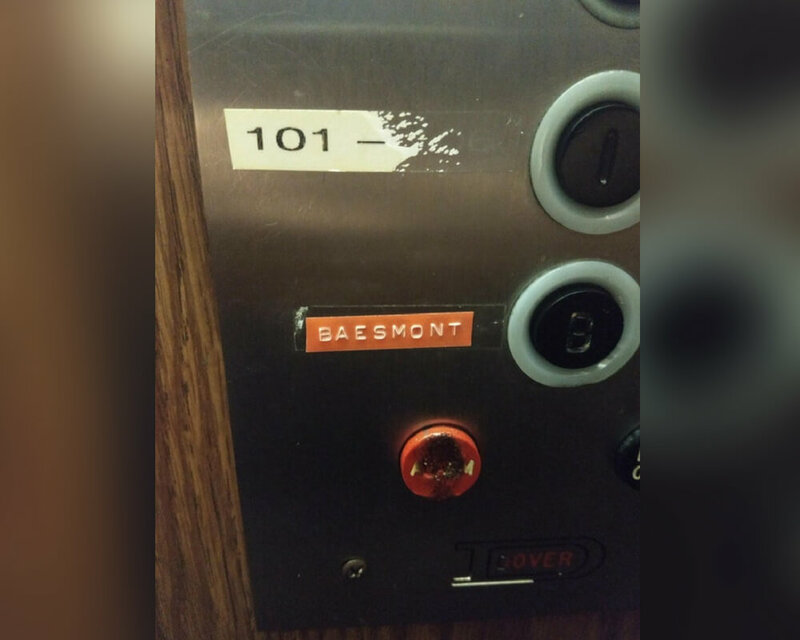 I like that whoever did this took the time to use a label maker instead of just scrawling it in pen. Neatness definitely counts for something. 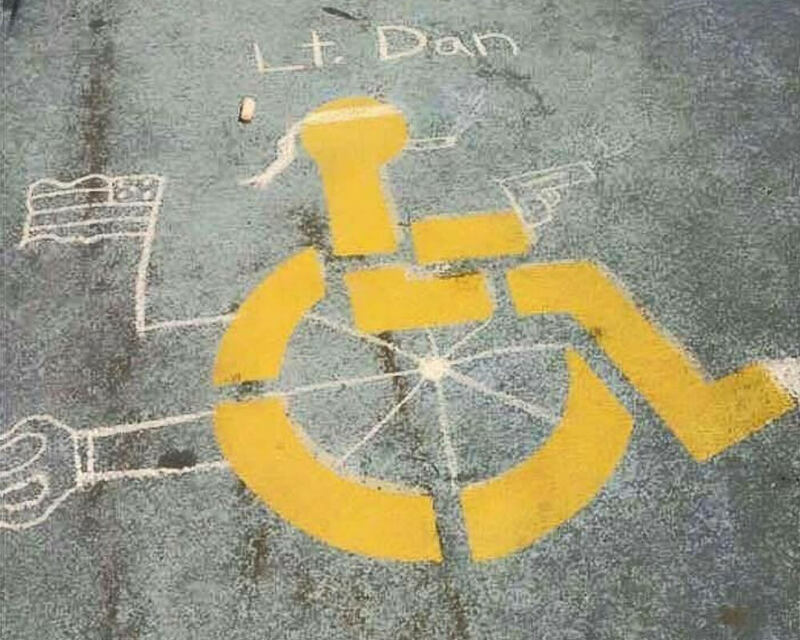 Keep reading to see how a clever “vandal” turned a handicap parking spot into a beloved movie character. It is such a simple move, yet it is somehow so effective. Farts are always funny. All of the memes on the internet have led us to this moment: a simple fart joke on the front of a parking garage. You really shouldn’t fart in a parking garage though. Things echo crazy loud in there. This is an excellent joke made better by the fact that it’s done in pencil, so there’s no harm done to this very old book. 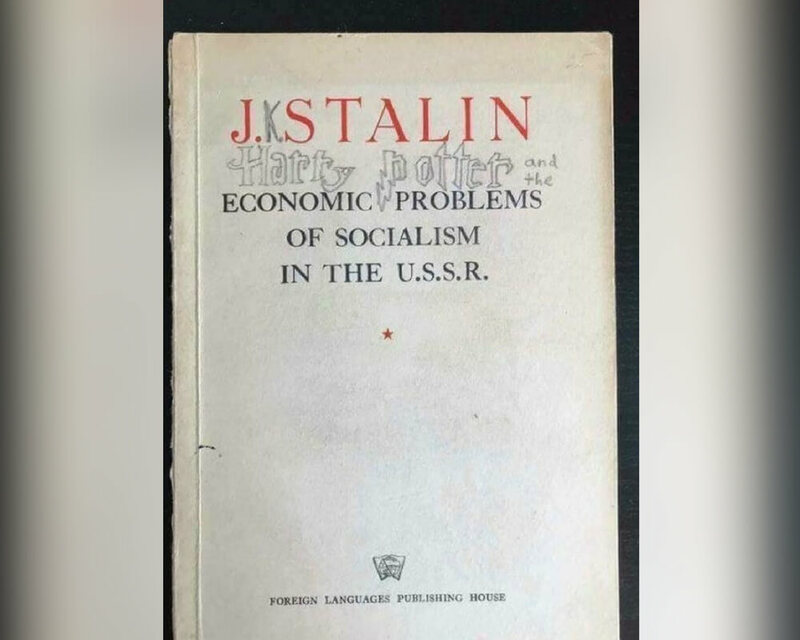 Not that we need to guard Stalin’s feelings, but it’s better not to permanently deface library property. Those books are for everyone. The best part of this mild vandalism is that they used chalk so that it can easily be washed away and nobody gets in trouble. Life is like a box of chocolates, you never know what you’re gonna get— unless the box comes with a handy guide, in which case, you do. 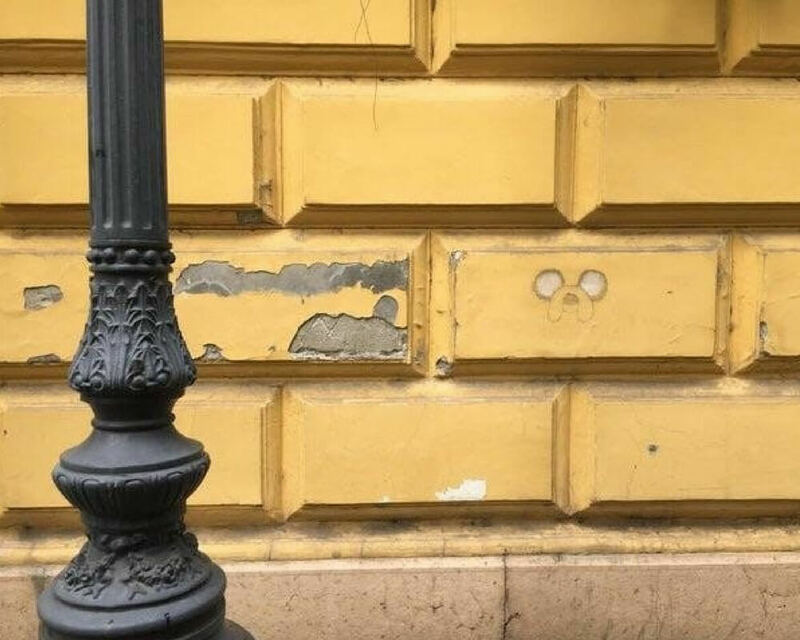 This beautiful Jake graffiti was spotted in Budapest. 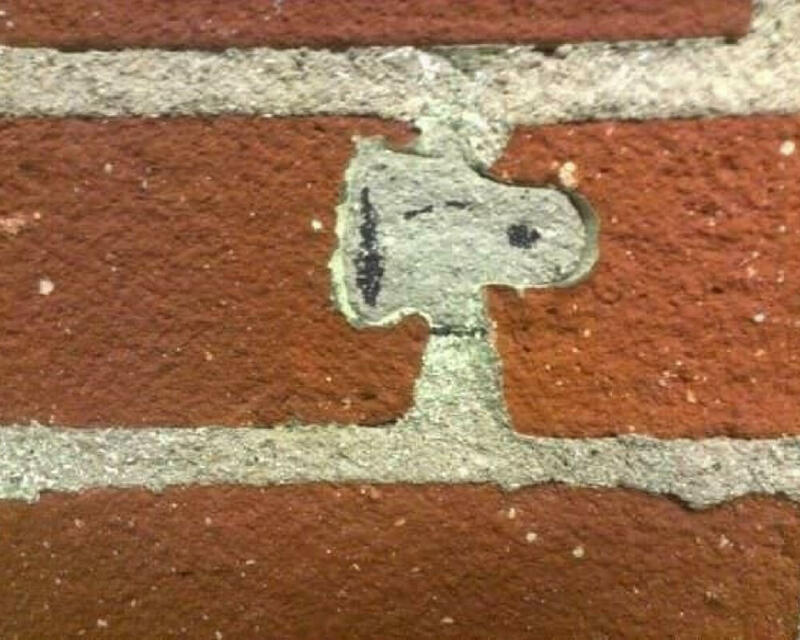 It’s adventure time, come on, grab your friends, and draw Jake’s face on every brick you can find— in pencil, of course, because we don’t want to damage property. If you’re not good at drawing, just remember that sucking at something is the first step towards becoming sorta good at something. 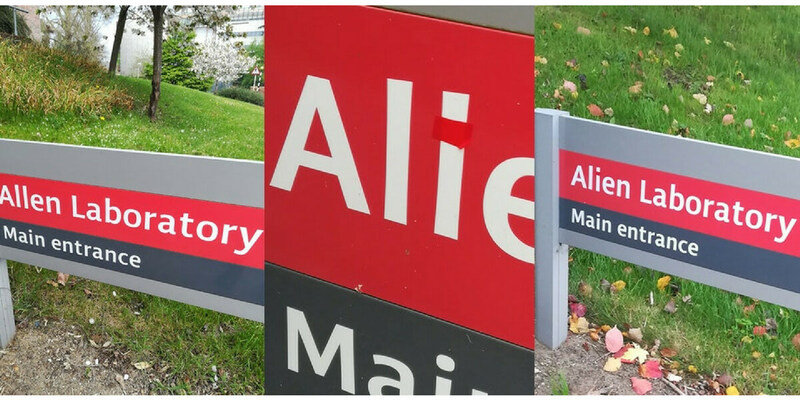 This is one of the most clever mild vandalism initiatives I have ever seen. A piece of red tape can do so much more than a whole bottle of spray paint. This is funny, inoffensive, and super easy to remove — the mild vandalism trifecta. Good work, stranger. TFW the toilet is actually a secret entrance. The mutants are hidden in plain sight. 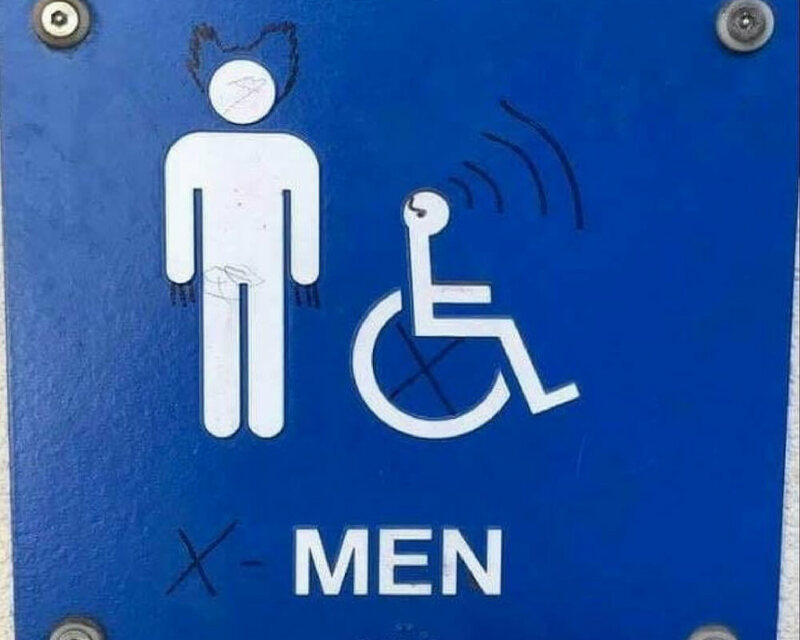 Next time you walk into a public washroom, consider that Wolverine may have used that very toilet. I mean, he probably didn’t. But imagine. Anyone can be a superhero.